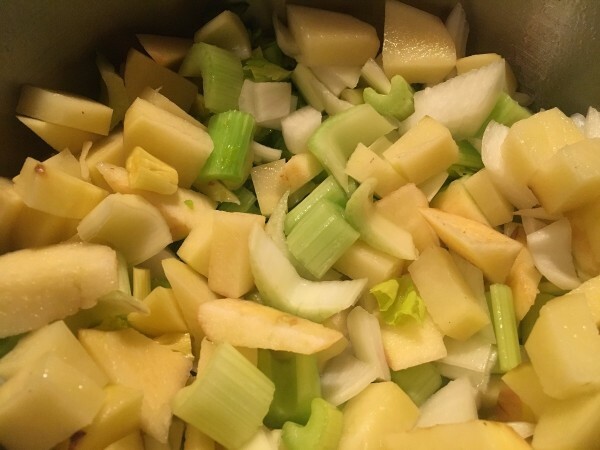 Combine fresh celery, apples, and onions to make this delicious cream soup. 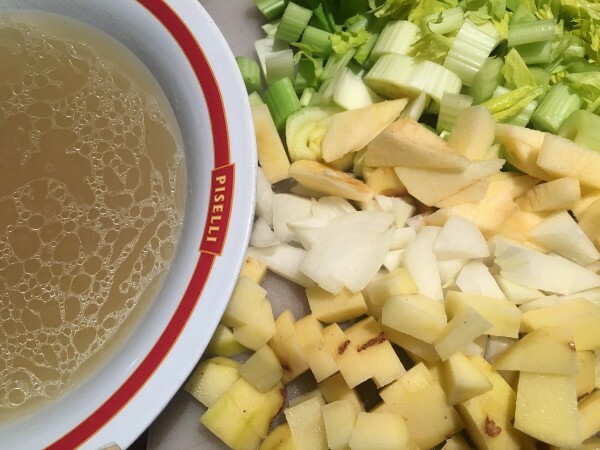 This page contains a recipe for making yummy creamy celery apple soup. 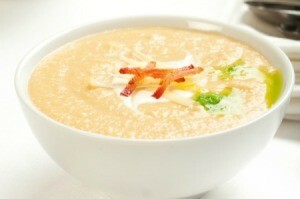 This is one of my favourite soups. It is extremely easy to make and is great for those counting calories. The green colour is a beautiful pop for the holidays. 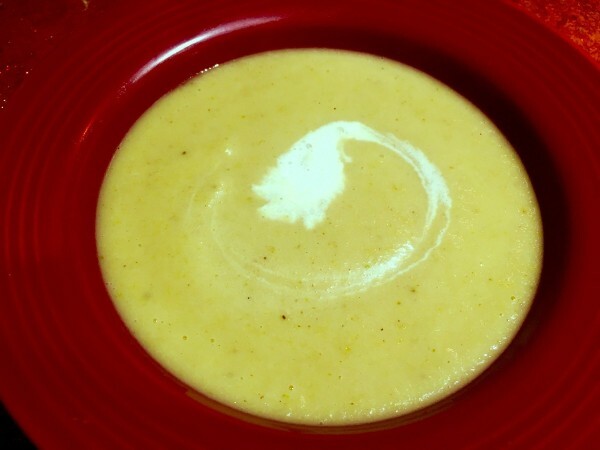 Place butter in a large pot over medium heat. 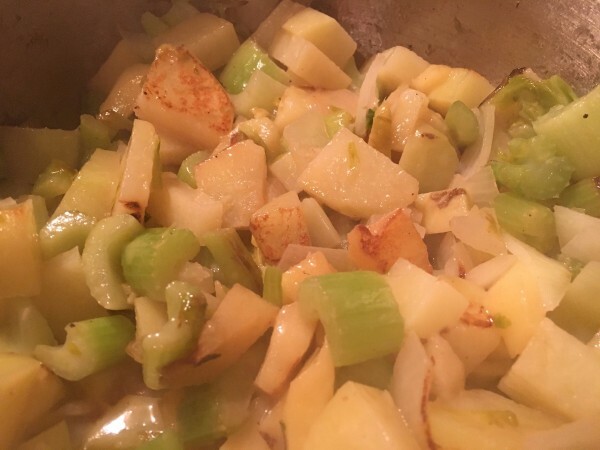 Add celery, onion, potato, apple. Sprinkle with salt. Cook, stirring frequently, until onion is tender and edges begin to brown, about 8 to 10 minutes. 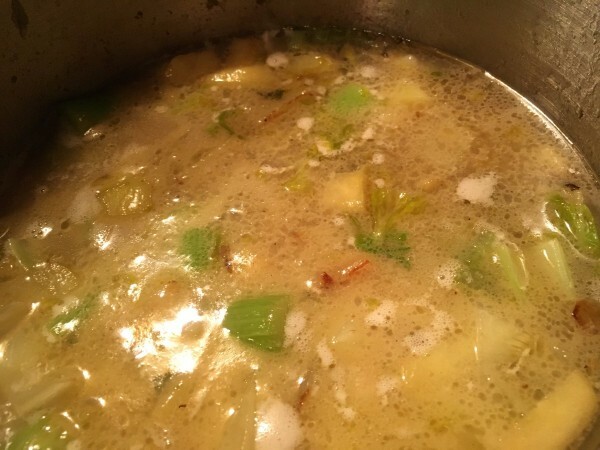 Add chicken broth and simmer until potatoes are softened, about 10 minutes. 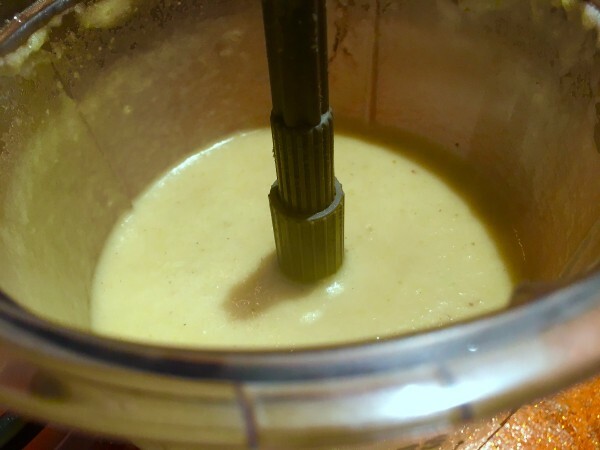 Puree in a blender until completely smooth. Add salt to taste, if necessary. Serve as is or with a splash of heavy cream.